It goes without saying that some of the worlds most iconic guitar tones have come from a Gibson guitar and subsequently a Gibson pickup. We take a look at the Top 7 Gibson pickups that you need to know about. The Gibson Humbucker was the solution for a problem that electric guitars were facing. Before the humbucker existed, single coil pickups were the norm. They were great, apart from the fact that they create a hum that came through the amp. This is why Gibson decided to stack 2 single coil pickups next to each other with opposite facing polarity to cancel out the hum. And it worked! What it did mean was that the humbucker was louder, and fatter sounding than a single coil and gave the electric guitar a completely different voice. This saw the birth of the PAF pickup. PAF simply stands for Patent Applied For and refers to the patent that Gibson applied for on their design. In reality, this became synonymous with a guitar sound that was warm and fat and is now known as a ‘vintage’ tone. Every humbucker since then has simply been a tweak on an age-old design. These tweaks have given us vastly different results from low output jazz-style pickups to hot and heavy rock and metal pickups. All of the pickups in this list are a variation on the humble humbucker but have all got a distinct voice and have been designed with a similar purpose – to serve the guitar they’re in with the best possible guitar tone. The Gibson CustomBucker is the holy grail pickup available in modern instruments. 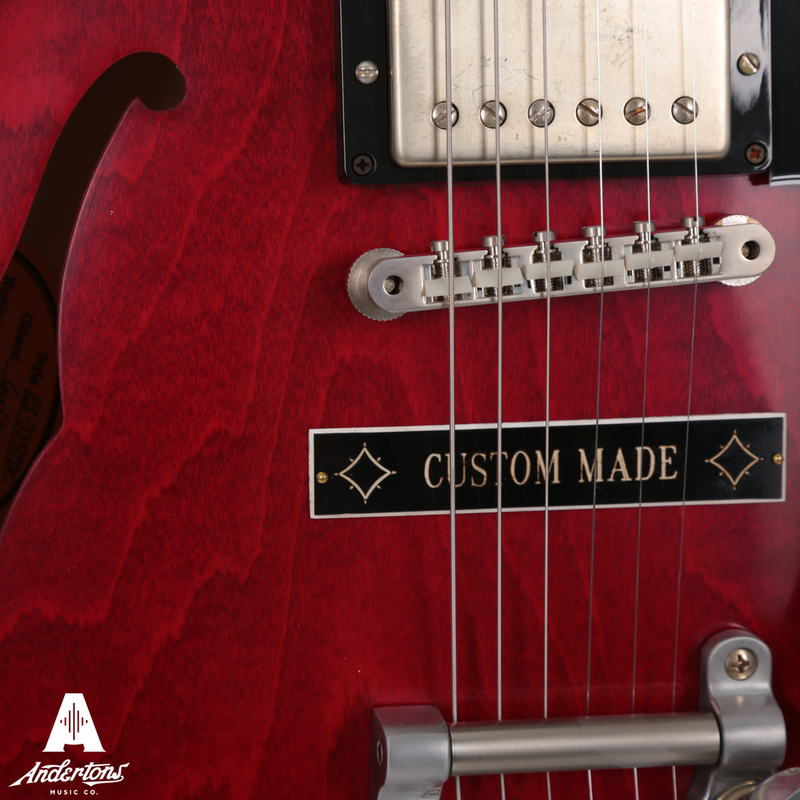 It’s only available in a Gibson Custom Shop guitar and is not available to purchase separately. It’s also the closest Gibson come to recreating their perfect PAF pickups from the 1950s. With a mellower sounding Alnico III magnet and smooth rounded tones on offer. It’s quite simply ‘that’ Gibson sound that you probably have in your heard made famous by guys like Jimmy Page, Slash and so many others. The Burstbucker Pro pickups enhance the vintage edge of the standard Gibson Burstbucker by swapping out the Alnico II pickups for the hotter, more modern Alnico V magnets instead. The Burstbucker Pros are meaty and fat sounding with loads of drive and attack and suit the ethos of the Les Paul Standard down to a T. They’re incredibly versatile and clean up well and because they have such a defined tonal output, they can be used for a number of different styles of music. In fact, the Burstbucker Pro Bridge pickup adds more coil windings to the magnet making it the highest output Burstbucker that Gibson offer! The Burstbucker series pickups offer those classic PAF tones without being too far over the edge when it comes to that vintage warm sound. In fact, they’d probably be described as vintage hot pickups due to the fact. Yes, they’ve got a mellow tone but when really pushed under high gain they drive and attack beautifully. It’s easily one of the most popular and widely used pickups that Gibson make. There are also a few different versions all differing according to their output. They’ve got fantastic high-frequency definition but aren’t spiky or pokey sounding. The 57 Classic pickup is very similar to the original PAF specs however the coils are evenly wound to give them a rich, balanced tonal output that the original winding machines could not achieve. So, they still have that vintage sweetness that you might expect but with a bit more balance and even distribution over the EQ spectrum. 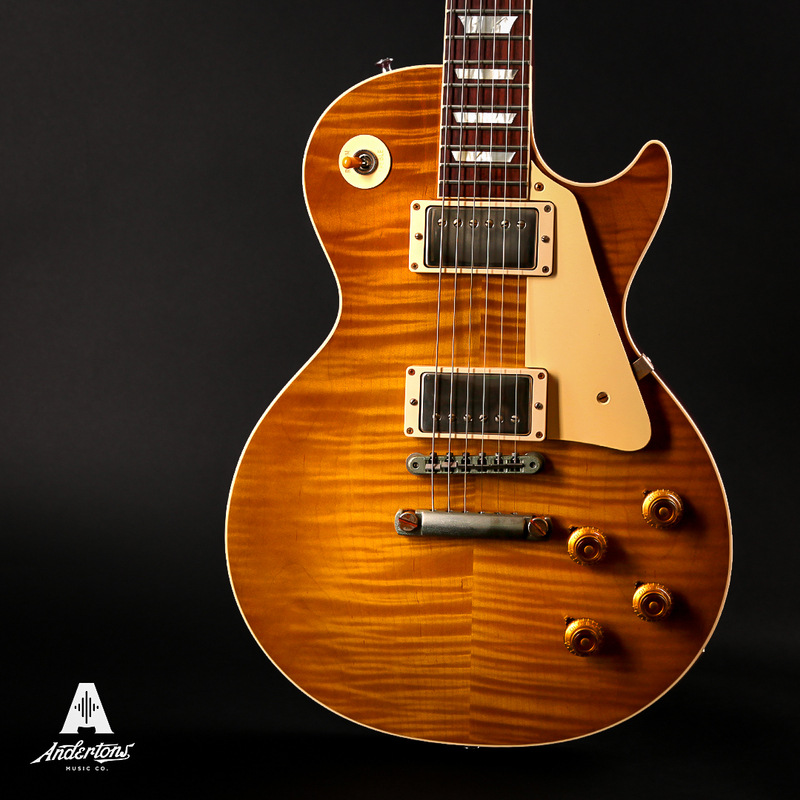 You’ll see the 57 Classic pickups in SGs and Les Pauls as well as some hollow body guitars. They’re versatile and simple but offer consistently great guitar tones. This is probably the most recently designed pickup on this list and has been heavily implemented by the Gibson Memphis factory in a lot of their hollow body guitars. MHS stands for Memphis Historic Spec and was designed to give those hollow bodies a warm and mellow voice. Quite similar to guitars built in the 50s and 60s. They’ve got a lovely top-end bite that you’ll notice when picking a little bit harder – especially with a bit of gain – but generally speaking, they’re lower output and have a vintage response. It says a lot that the luthiers from the Memphis factory heard these pickups and then put them in so many guitars. They’re versatile but give a true representation of what a hollow body should sound like when plugged in. The 490T is the treble/bridge pickup and the 490R is the rhythm or neck pickup. Both pickups are essentially the same apart from their output. They’re voiced in a similar manner – to provide a modern alternative to the PAF classic sound. These pickups have a sweet mid-range with a beautiful singing overdrive tone. They’re designed to ensure that they don’t have high-frequency brittleness. You’ll find these pickups in modern Gibson guitars like the SG Specials or Faded models. 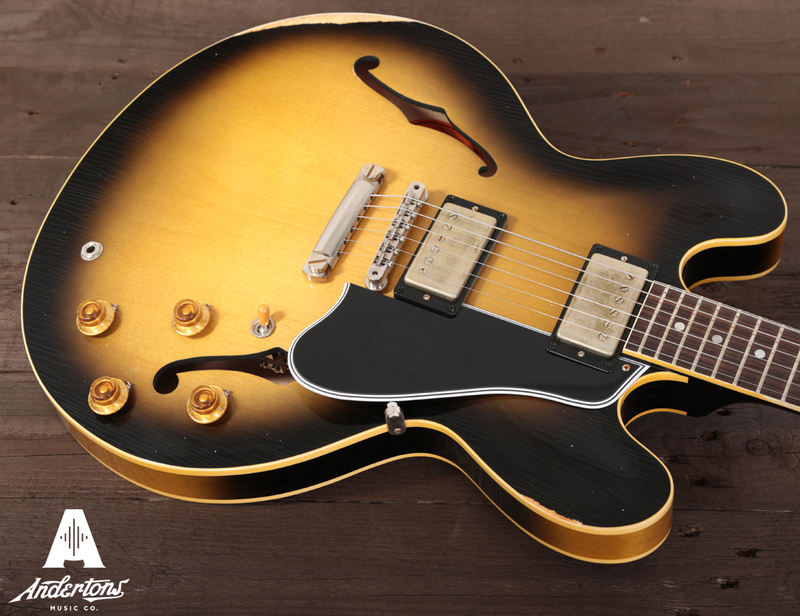 The Gibson 500T is a super ceramic humbucker that simply doesn’t hold back. These pickups kick out some serious power and are there for the players that want a rich tonal response. They’ve got plenty of character but definitely work best under oodles of gain. They’ll give you enhanced low-end and crystal clear highs. This is why they’re so great for modern music where you really need to find your place in the mix. These monster pickups cover a lot of ground tonally and are very popular amongst rock and metal players.